Light balls are quickly becoming a favorite choice among professional decorators and event planners for their easy setup and multitude of creative year-round uses. Whether being used as a unique indoor accent light or becoming the focal point of large scale outdoor event displays, light balls are a versatile decoration with numerous creative possibilities - all you need is your imagination! Below we've provided some decorating ideas to get you started as well as a DIY Light Ball project you don't want to miss! You can create a compelling display by hanging light balls in trees or placing them in various locations around a garden or event space, but these decorations are capable of so much more! Fill the interior of a light ball with flowers, greenery or decorative accents and suddenly you have the potential to create lighted pomander balls and botanical arrangements for every season and party theme. Wrap light balls with blue or pink ribbons for a baby shower, fill them with flowers to match a wedding's signature colors or design holiday themed botanical ball displays. 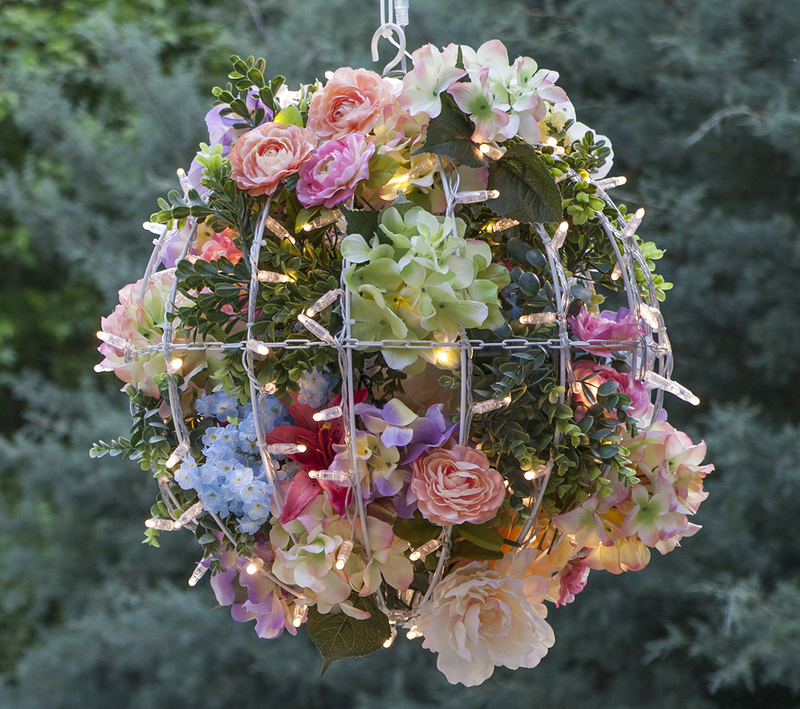 Creating a DIY flower ball doesn't take long and the end result is an eye catching decoration for any type of event from casual backyard parties to elegant evening soirees. 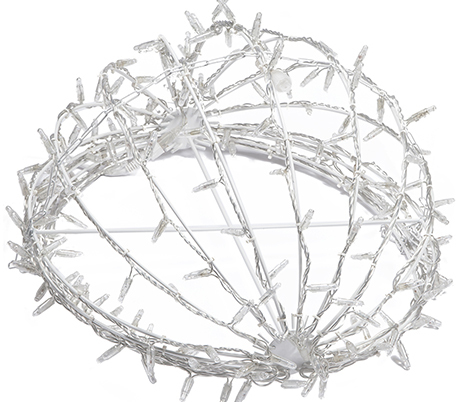 Attach greenery garland to the interior frame of your light ball using floral wire or zip ties. If you want your ball to appear full with no visible gaps, attach floral stems with larger flowers to the interior of the light ball where there are spaces between the greenery. Hydrangeas and flowering bushes make excellent filler! After you've added as much filler as you like, attach accent flowers, ribbons and other decorative elements to the exterior of the light ball. Display, plug in and enjoy your flower light ball!